Just days after we announced a tough battle going on between the top two JA Manafaru wins the race and becomes the best resort in Maldives. 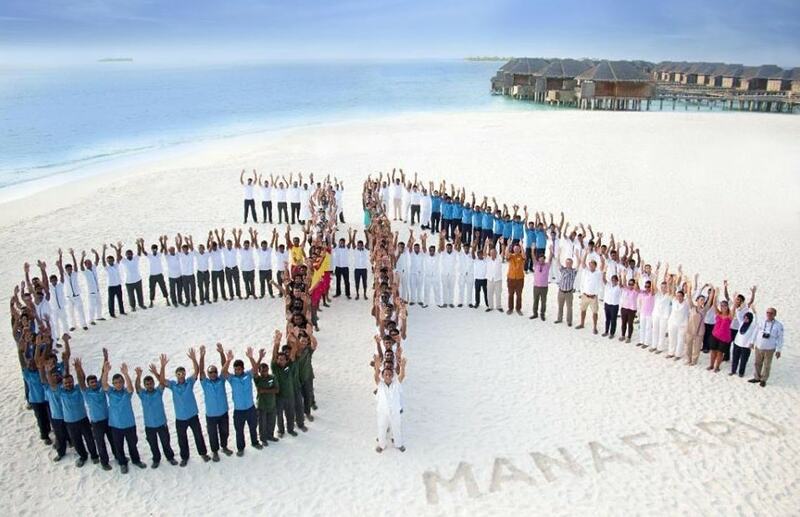 This is first time Manafaru became the best on the daily updated resort ranking maintained by Maldives Finest. This is an incredible achievement to the resort that is one of the most remote in the country. 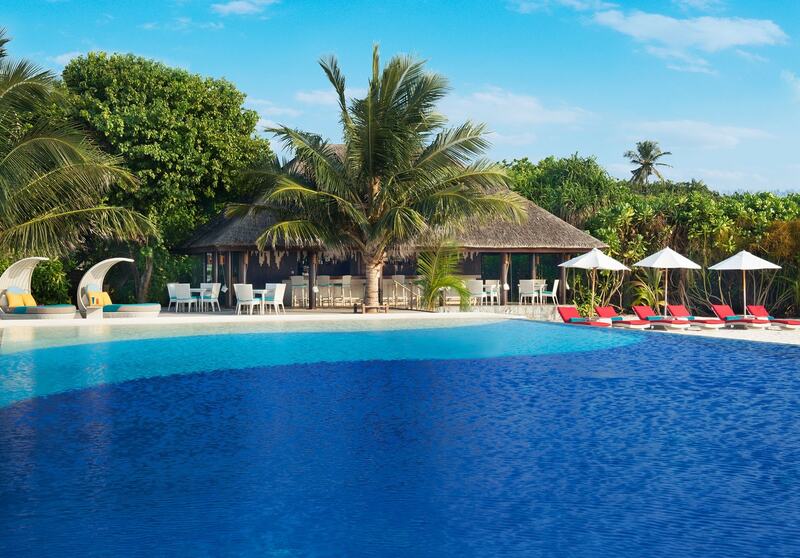 Despite challenges Manafaru has mastered the art of satisfying their guests. Yes, the Maldives Resort Ranking is based entirely on guest satisfaction that is computed from credible guest reviews and there is no other way to get this achieved. There were times Manafaru was ranked below TOP 10, that was several months back. 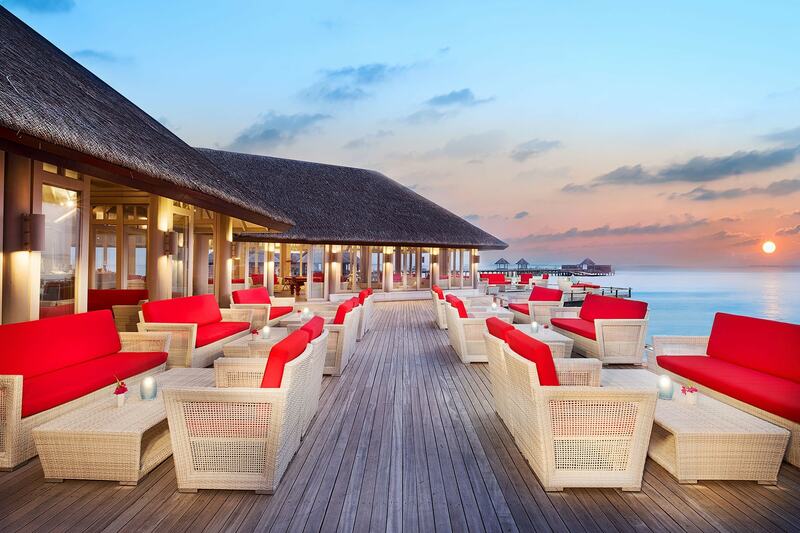 In the recently months there has been gradual progress, before finally becoming the best of Maldives. 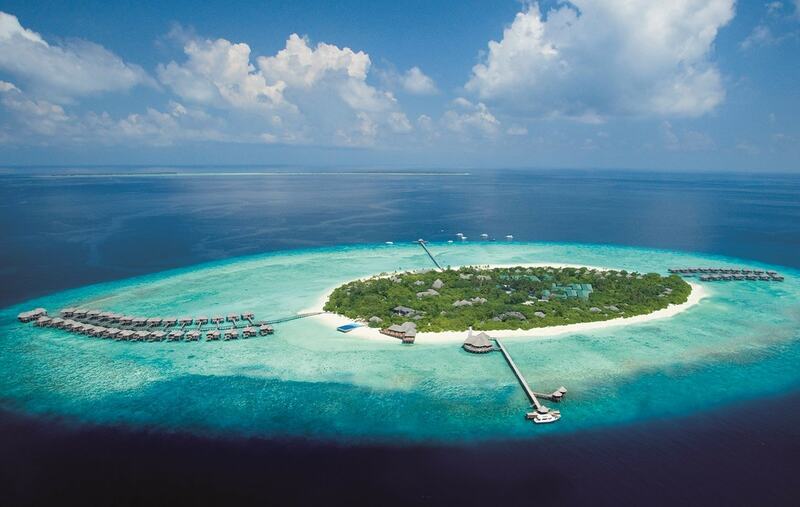 Located in Haa Afli Atoll, JA Manafaru is 320 km from Male' International Airport. To get there it takes 75 minutes by seaplane, or 30 minutes by speedboat from Hanimaadhoo International Airport. Majority of the guests arrive Male' International Airport and take a domestic flight to Hamidhoo or go for the more expensive but enjoyable and convenient way of seaplane. The island is very tiny, it measure 800m in length and 600m in width, just 35 acres of land where you could walk about in 10 minutes. 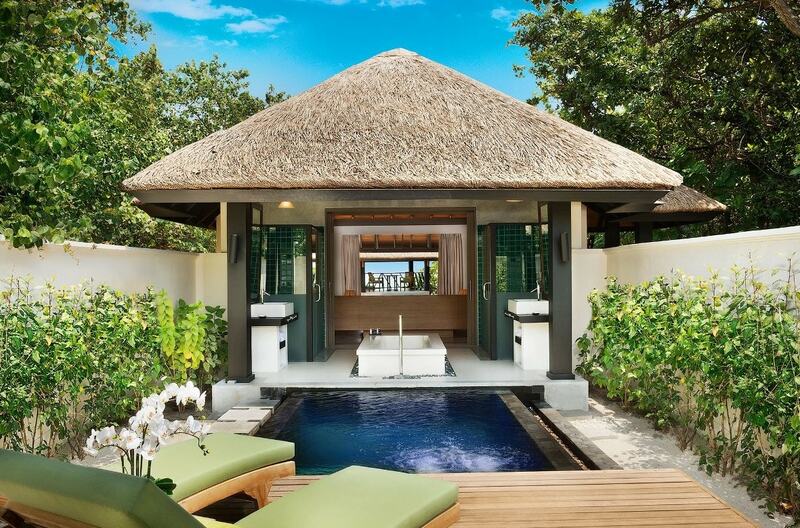 There are 22 bungalows of this category and each bungalow measures 150 sqm. The bungalow that is surrounded by tropical vegetation is just few steps from the beach and your private cabana on the beach. The room can accommodate upto 3 adults with 1 infant, or 2 adults with 1 child or infant. Perfect to capture brilliant colours of golden rise that reflects on the India Ocean. 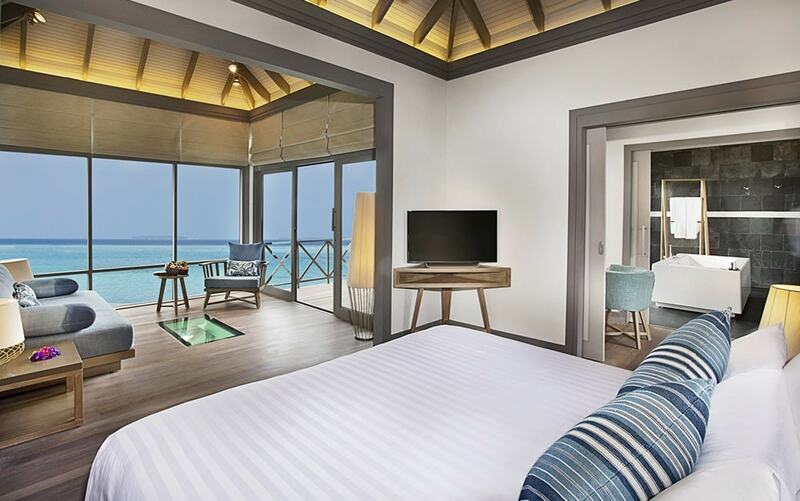 The water villa comes with glass panel on the floor, making it perfect to observe fish beneath. But the outdoor deck is better. Infinity pool is a timeless place that sparks magical moments. There are 24 units of Sunrise Water Villa With Infinity Pool and each measures 110 sqm while it allows a maximum accommodation of 2 adults with 2 children or 3 adults and 1 child. Not waking up to glimpse golden sunrise is perfectly normal in paradise. 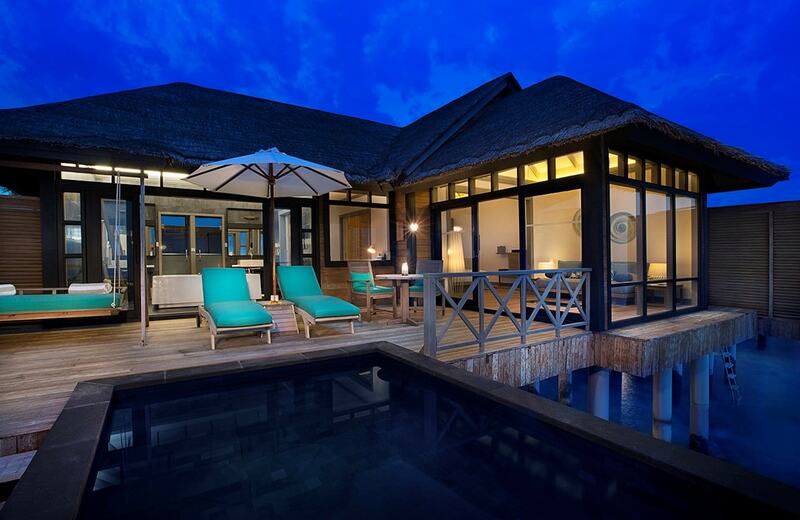 Enjoying spectacular Maldivian sunsets could now occur in total privacy of your villa that is suspended over the water. Just grab of bottle of champagne from in-room wine cellar, toast and celebrate best encounters of your life while starring at magical colours of the sunset that keeps changing. The room could accommodate 2 adults with 2 children or 3 adults with 1 infant. 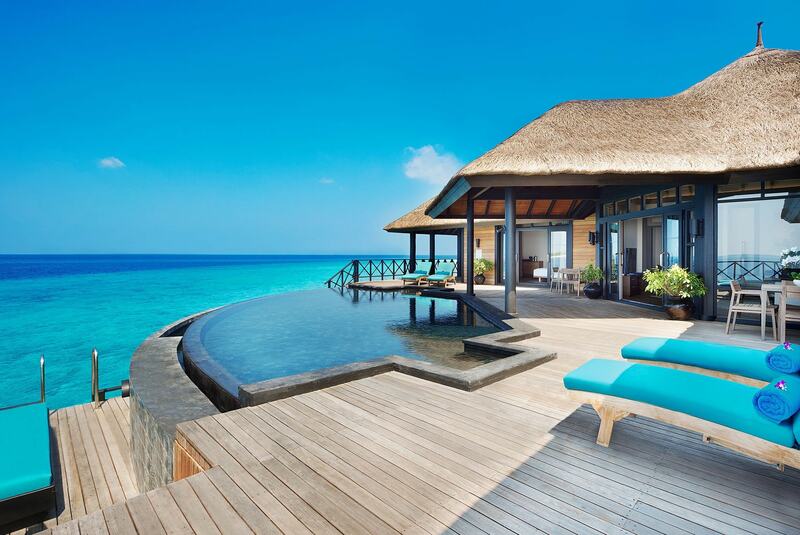 There are 23 villas in this category. Measuring 225 sqm the villa comes with a large living area to lounge and separate bedroom and an additional 350 sqm outdoor space towards the beach side. Surrounded by lush green vegetation it is just steps away from your private beach cabana and sun loungers on the beach. Built with privacy in mind you could unwind on the outdoor deck or relax in daybed. 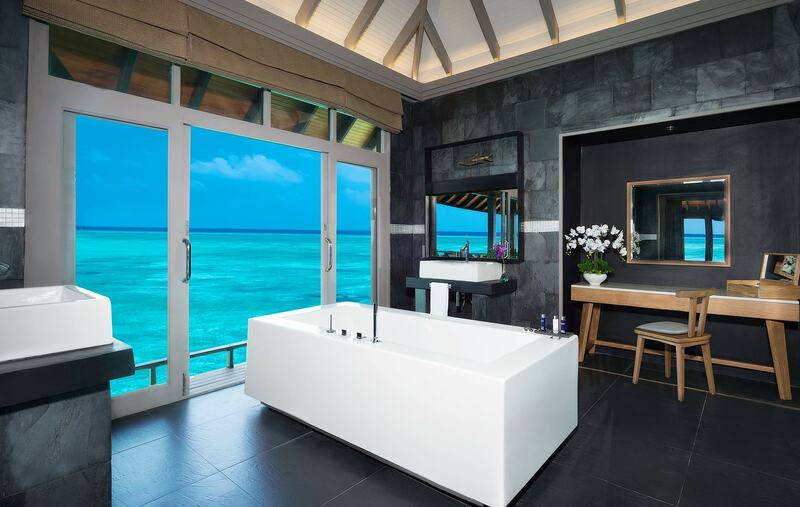 Try the open air bathroom to feel a new experience. 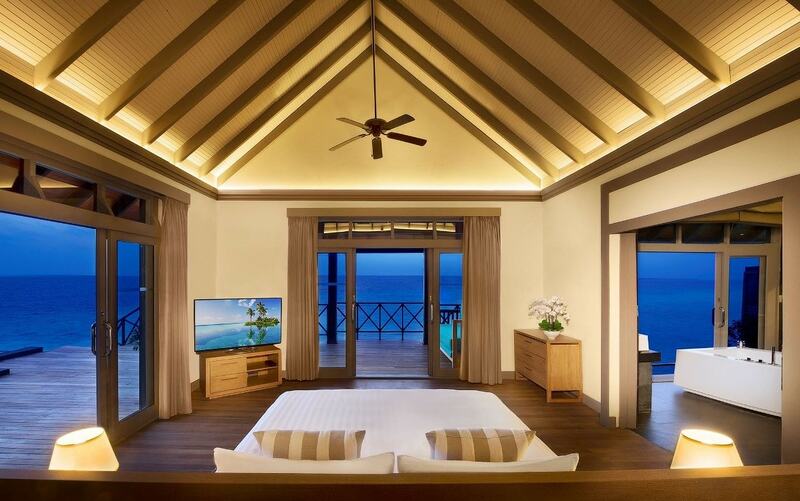 This one bedroom villa could accommodate 4 adults with 1 child or 2 adults with 2 children. 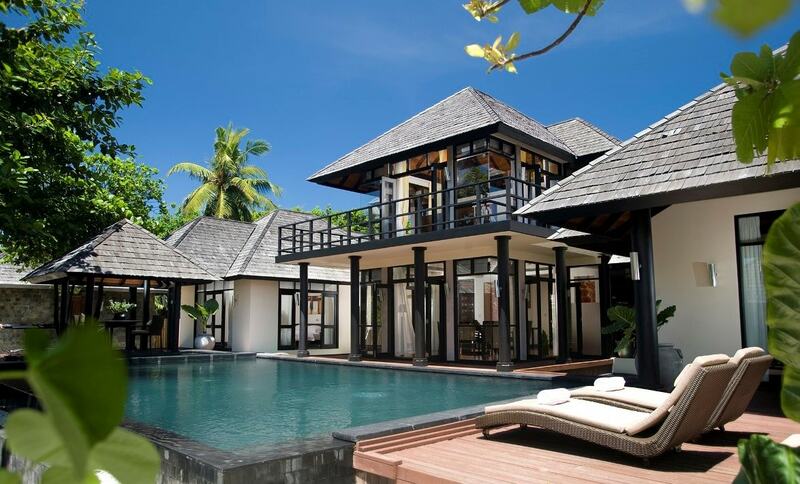 Built for lavish lifestyle, the villa measures an astonishing 350 sqm in size. The large private deck is a timeless place to spend day and night. The sight of two uninhabited islands at sight and the turquoise lagoon makes this pleasing to senses. Dedicated Villa Host ensures your needs are well attended while giving you privacy when you are comfortable. The villa that comes with designer amenities could accommodate up to 5 adults with 1 infant or 4 adults with 1 child and 1 infant. 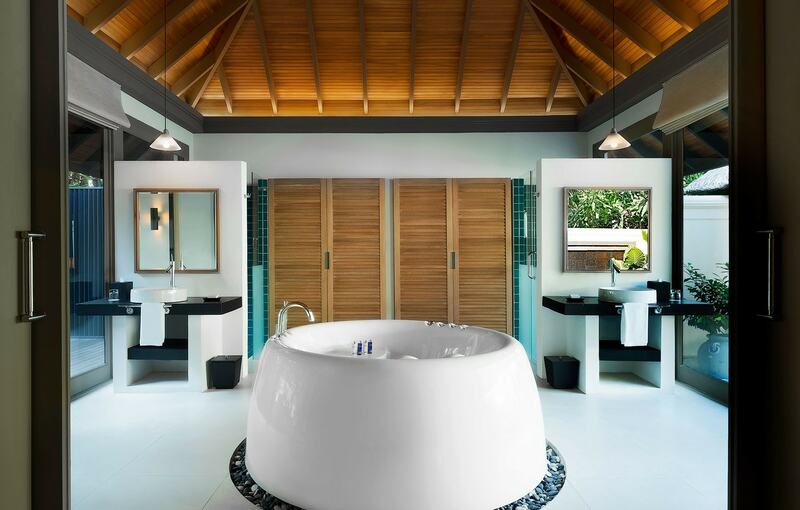 The luxury two storey beach residence comes with its own sauna, a dining room, steam room and spa treatment space. The living area opens up to a sun deck with the infinity pool. Ornamental ponds in open area of bedrooms make the Royal Island Two Bedroom Suite an ideal choice for luxury seeking families. There is an in-villa bar that gets stocked to your preference. The room can accommodate up to 6 adults with 2 infants, or 4 adults and 2 children. It occupies an area of 600 sqm. This luxury two storey suite is perfect for families and large group of friends to enjoy luxury escapes together. The villa is equipped with its own sauna, steam, spa treatment room and barbecue area. 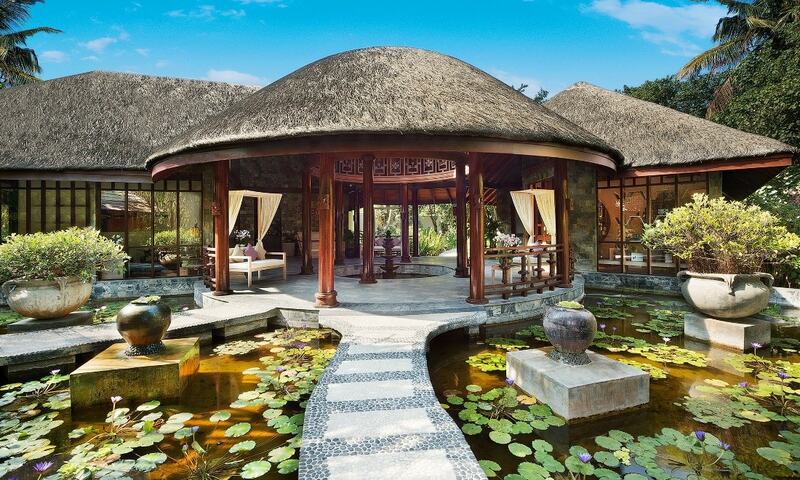 Entrance to this luxury villa is through a courtyard with ornamental ponds. A elegant dining room and living area opens up to the outdoor infinity pool. Private beach cabana and sun loungers on the beach takes only few steps to get there. The thee bedroom suite can accommodate a maximum of 7 adults with 3 infants or 6 adults with 2 children. 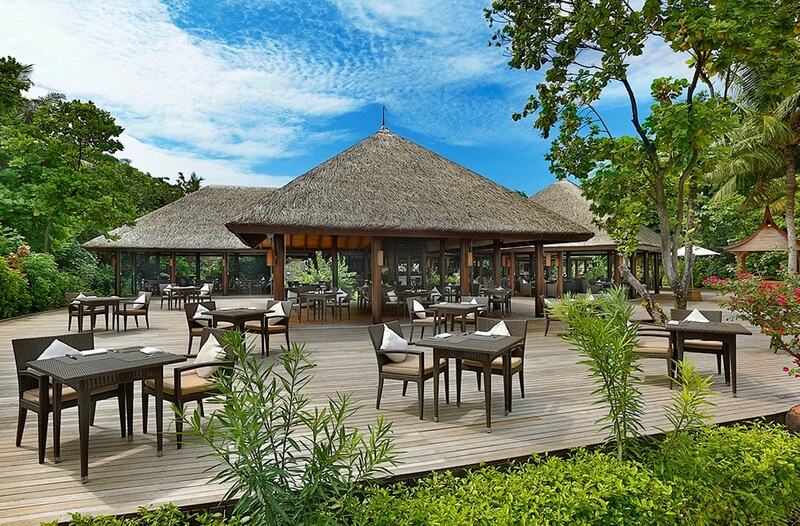 White Orchid is an overwater restaurant that serves Japanese, Chinese and Thai cuisines with Teppanyaki setup for authentic Asian fusion experience that is amazing when the chefs perform right in front and serves stove to plate. White Orchid opens daily from 18:30 to 22:30 except Fridays. 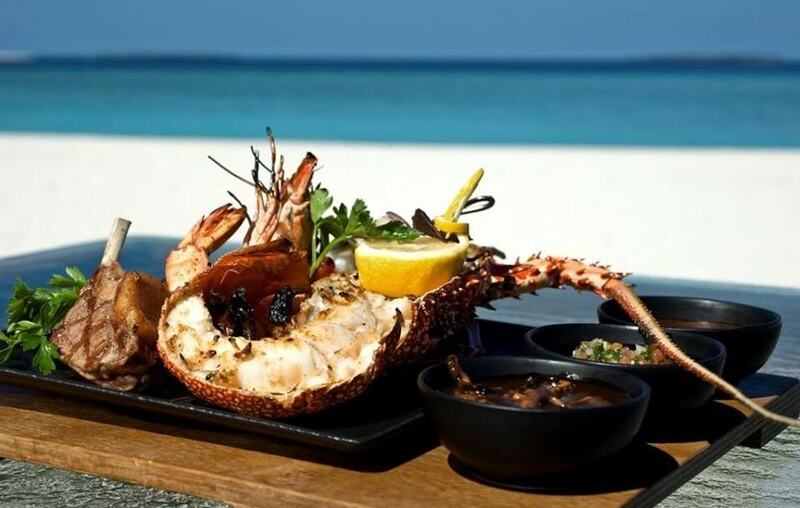 Located beachfront, the Ocean Grill serves local seafood menus and prime cuts of meat that is cooked to your preference. 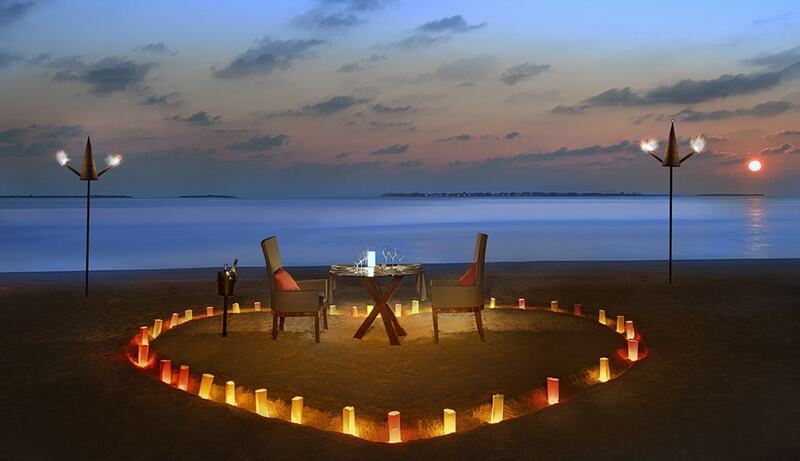 Dine under the stars while listening to natural music of gentle waves kissing the soft sands of Manafaru. This dinner-only restaurant opens daily from 18:30 to 22:30 except Tuesday. Kakuni is the main restaurant that serves breakfast and dinner. 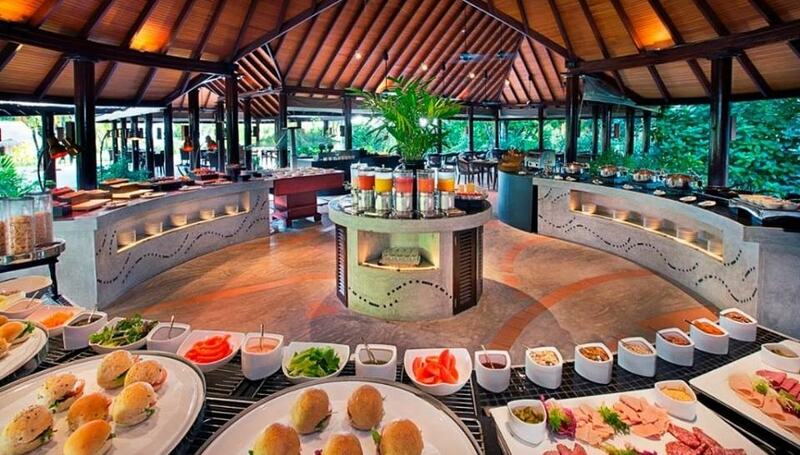 A rich buffet breakfast with gourmet options gives you a fulfilling breakfast experience to kick start you day in paradise. For Dinner there are theme nights from around the world including Maldivian Night. Kakuni serves breakfast from 5:30 to 10:30 daily. Dinner is served on Fridays and Tuesdays from 18:30 to 23:00 hours. The Cellar sits two and half metres below the sea level. This underground setting is the ideal place to explore the world of wining and cuisines that match different wines from around the world. 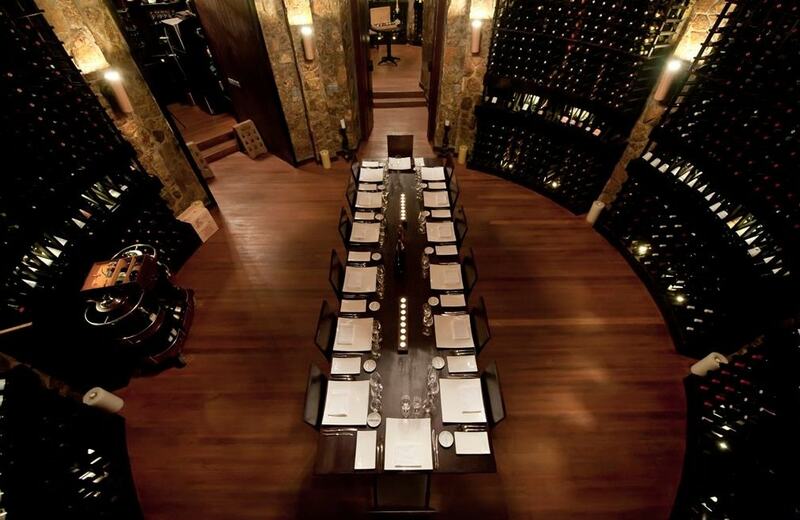 Join the sommelier and internationally rated chef for wine tasting experience or reserve for private wine cellar dinner. The Cellar opens Saturdays, Mondays and Thursdays from 18:30 to 22:30. 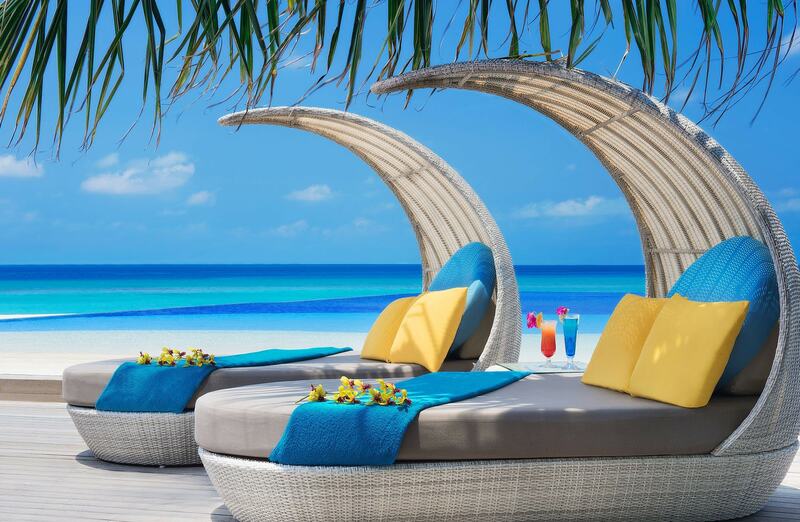 When are you in Manafaru there is no going away from beach or water. Andimao Bistro And Pool makes lunch possible by beachside or at the pool. Think of the beauty of lagoon, fragrances and flavours of home-made piza, pasta or salads. The outlet opens daily from 12:00 till 18:00 hours. Dinner with live music happens here on Wednesdays and Sundays from 18:00 to 22:00 hours. Located beachfront with palm trees on the sides, Infinity Bar And Pool opens daily from 10:00 to midnight and serves light snack, fresh salad and delicious sandwich. 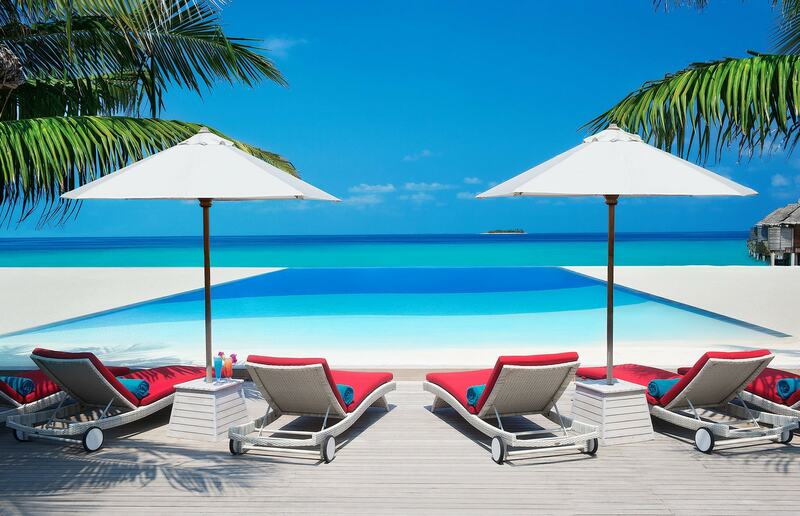 The stunning infinity pool seamlessly blends its colours into the horizon. Horizon Lounge opens daily from 10:00 till 19:00 hours and serves signature cocktails as you unwind. When sunset happens it is time to inhale the beauty of skyline reflections. Thursdays and Saturdays have more happenings with live football, karaoke, billiards and other activities that continue till late.